Dirt removal may be fairly self-explanatory, but in reality, processing large quantities of dirt can be fairly complex. 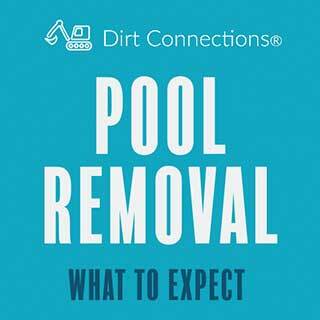 There are many variables to take into consideration, including underground obstructions such as pipes and wires, finding the best way to physically remove the dirt from the area, and potential uses for the dirt that has been removed. Many people, especially in residential areas, are unfamiliar with the dirt removal process, and the enormity of the task can be overwhelming. Below, we have broken down the steps of dirt removal so you can have a better understanding of the process. Once you have decided to remove unwanted dirt from your commercial or residential property, the next step is to get in touch with a dirt removal contractor. 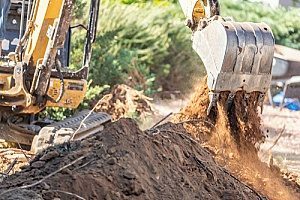 The contractor will come to your property and assess two different things—how much dirt needs to be removed and any potential underground structures that would impede the removal process. One of the fundamental rules of digging is that you should never attempt a large-scale deep dig without thoroughly inspecting the area where you are trying to work. If you were to begin digging with no knowledge of what lies beneath, you could easily hit a water line or cause a gas leak, which are both costly and hazardous mistakes to make. If you miss your intended target and hit a cable, you and your neighbors could be left without internet until a repairman is able to come out and fix the damage. 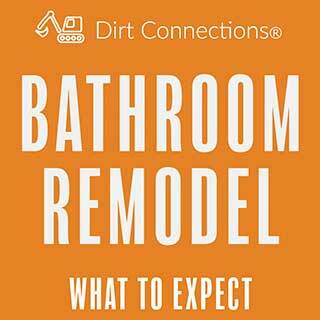 Now that a dirt removal contractor has mapped out the specifics of your dirt removal project, it is time to get digging. First, the area where the dirt is going to be removed from will be staked and cleared. In other words, the area needs to be measured out, and any trees, bushes, or other impediments must be cleared from the area. While this can be done by the property owner, it is highly recommended that the dirt removal company professionals are involved in the process to ensure that everything is perfect before the removal process begins. After this, the area will need to be flattened out, or given a different slope depending on the goal of the project. Once these preliminary steps have been completed, the dirt removal company will start digging. As the digging process continues, dirt begins to pile up around the project site. The dirt that has been removed will remain on site until the end of the project. The reasoning behind this is that if you are planning to put a pool or a basement in the place of the dirt you have removed, you will also need to use dirt to fill in some of the areas. 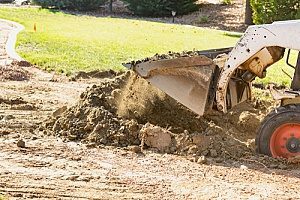 If you haul away all of the dirt as soon as it is removed, you will then need to acquire more fill dirt and figure out how much you need to complete the project. It is far simpler to use the dirt that is already on site rather than transporting additional dirt after the removal. This method is also cost effective and environmentally friendly, as it cuts down on the need for excessive amounts of gas during the transportation process. Congratulations! Your land is now free of undesired dirt. Generally, it is important to have an idea of what you want to replace your dirt with. The most popular options for residential areas are basements and pools. Before you attempt to install either of these features, it is critical that you run the project past your neighborhood’s Home Owners Association. Many Home Owners Associations (HOAs) have guidelines for sizes and shapes of pools and some may even prohibit them. Making sure your project is in compliance with all regulations will save you time and prevent you from incurring fees after the project is finished. Pools and basements are exciting, but have you ever considered upgrading your property with something that has more of a “wow” factor? Koi ponds and other small water installations are quickly becoming more popular. A koi pond is a wonderful way to expose your children to exotic marine life that they would otherwise need to go to an aquarium to see. Koi ponds also create habitats for more than just the fish. The pond itself becomes an ecosystem, creating a home for frogs, marine bugs, and many other species. However, if you are looking for a small water fixture for people rather than fish, a hot tub would be the perfect addition to your backyard. Hot tubs are more than just fun—they can be therapeutic after a workout and they are a great way to spend time outdoors when the weather would otherwise be uncomfortably cold. Another great heat-based outdoor addition is an inground fire pit. These are definitely a newer trend, but it is easy to see why they are rapidly growing in popularity. 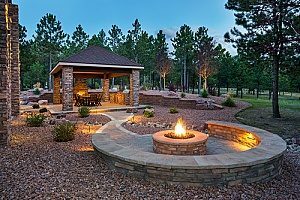 Inground fire pits are one less thing for your kids to trip over while they wrestle in the backyard, as there is a patio buffer between the pit and the grass. They are also beautiful visually, and offer you and your guests easier access to the fire for making s’mores and other outdoor treats. With any of these three features, your backyard is sure to be the coolest on the block. Hopefully this has made the dirt removal process less intimidating and even a little exciting, especially for first timers. Now it is time to take the first step and get in touch with a Virginia fill dirt removal contractor to schedule a consultation. 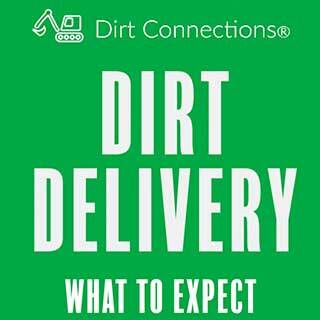 To speak with an experienced contractor who is guaranteed to provide you with the highest quality dirt removal services, contact a Virginia fill dirt removal contractor at Dirt Connections today.